The dock-able user interface helps you easily arrange your own custom working environment. 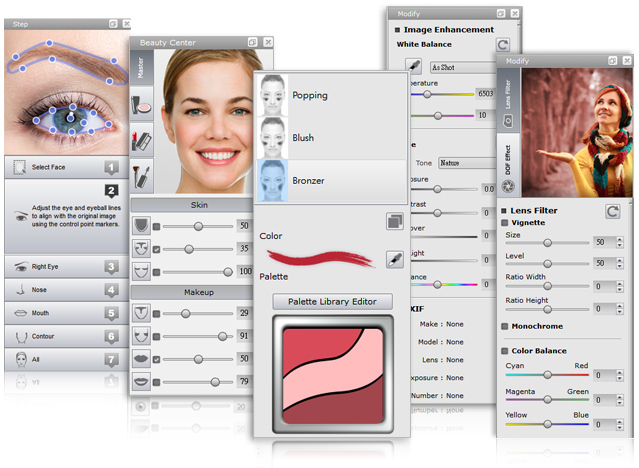 One-click access to visual templates for makeover changes, facial reshaping, and post photo effects. Quickly switch between skin refinement, contour sculpting, or eye makeup with the Beauty Center. Apply further detail enhancements on any selected feature with the Modify Panel. Freely rescale images for optimal image processing speed. 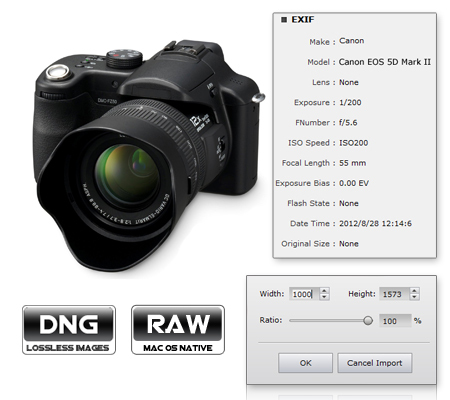 Support RAW image formats to retain the highest image quality. Up to 6000x6000 (PRO Only!). *We also support DNG format import. You may easily convert any RAW images into DNG files without quality loss. Try it with the free conversion tool from Adobe here. Three viewing modes to best compare your photos' before and after. Holding the right mouse button in the After view lets you temporarily switch to the Before view. 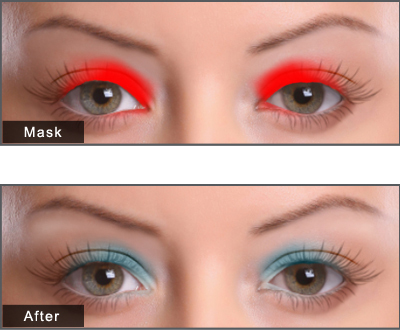 The Splitter view allows you to drag the divider to compare before and after. 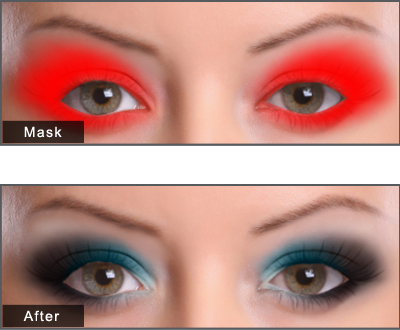 With Dual view, you can see the before/after difference, side by side. Click to zoom the focal area. 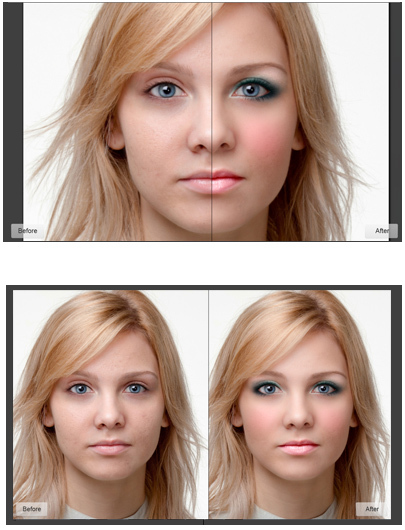 Frame-select the face, and then rotate to align with head orientation for easy makeup editing. Further define the fitting points for eyes, brows, nose, mouth (open or closed), and face contours. Redefine your brow or lip shape when applying makeup. More than 400 embedded content and 50 categories. 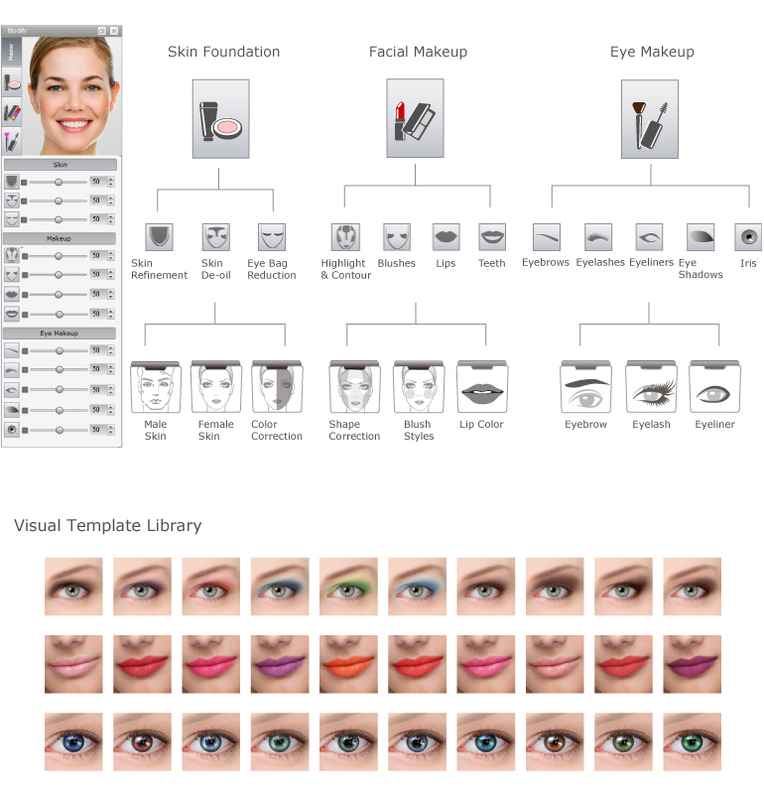 Templates designed by professional studios, using real life makeup principles. Up to 20 layers of masking effects to achieve ultimate realism. Easily save custom designed templates for future use. 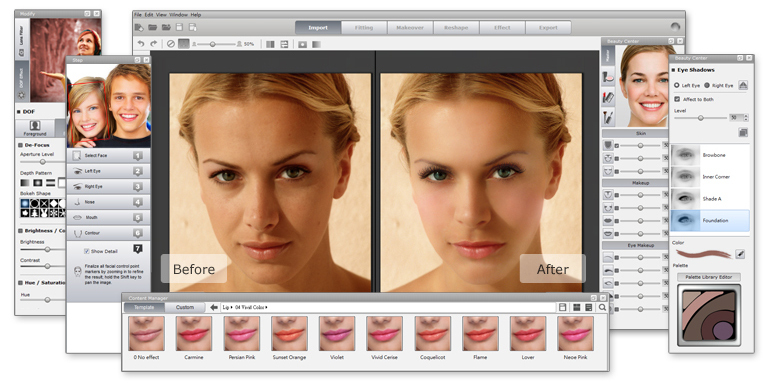 After applying each template effect, you can balance the strength inside the Beauty Center and Modify Panel. Toggle the On/Off feature to show, or hide the entire effect. Lasso or paint to mask your target area with custom brush size and alpha strength. Edge smooth or expand/shrink mask with the Feathering Tool. Define the foreground and background for the DOF process. Freely modify existing templates or custom design your own image layers. 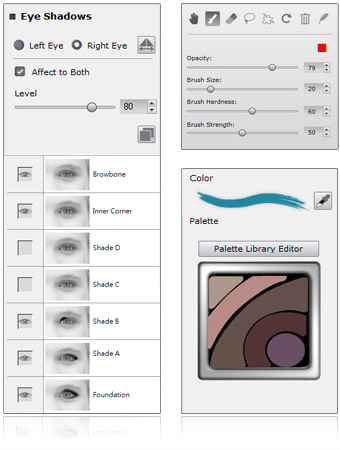 Up to 4 mask layers for Highlights and Contours, 3 layers for Blush, and 7 layers for Eye Shadow designs. Add custom image layers, or show/hide, rename, and delete selected layers. 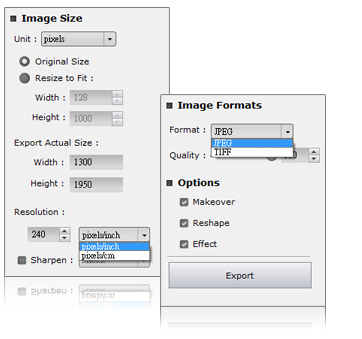 Define output size, resolution, and sharpness level. Export your photos as JPG with quality settings, or TIF with different bit depth.